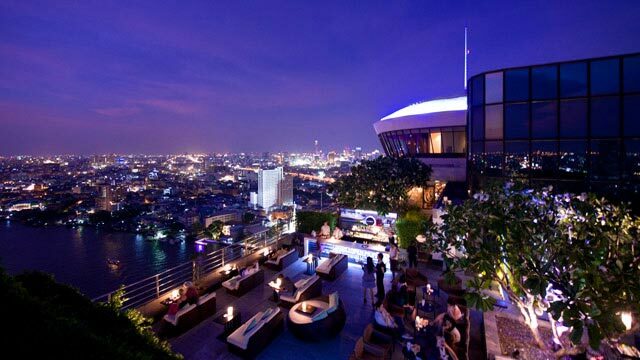 Threesixty at Millenium Hilton Bangkok is probably one of the best and most romantic rooftop bars Bangkok has to offer. Especially to visit for a magical sunset. Still, not that many tourists have found their way here... yet. If you are lucky, you might just get a perfect spot on the terrace without to much hassle. 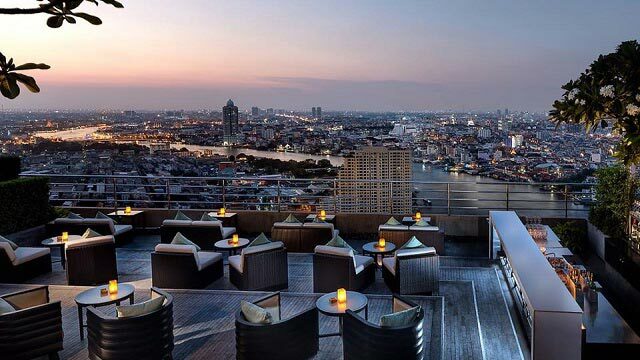 Just as the name (Three Sixty Lounge Bangkok) indicates, you will get a magical 360-degree view of the Bangkok skyline from the Millenium Hilton Bangkok rooftop bar. And if you want that extra cool Instagram-pic, the tip is to head up to the helipad just above the terrace. The drink list is exstensive, with some signature cocktails in generous size. There is also a food menu including classic asian bar bites. ThreeSixty have two areas under ThreeSixty shelter, including ThreeSixty Outdoor Rooftop and ThreeSixty Jazz Lounge. 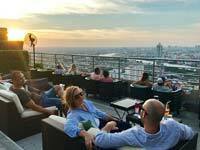 So for those who love jazz, Threesixty rooftop bar is a perfect rooftop bar to visit when in Bangkok. 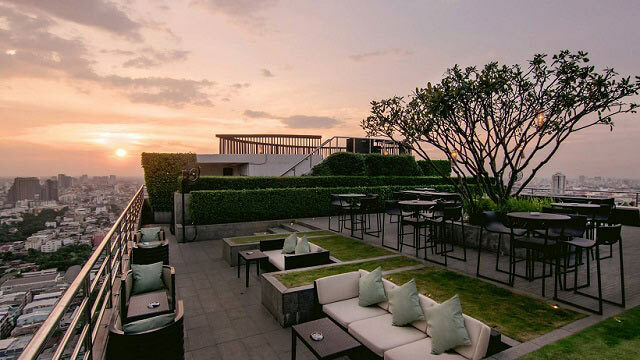 Tip: Enjoy this great rooftop along with the equally fantastic infinity edge pool by booking your stay at the 5-star Millennium Hilton Bangkok. Read our review from the superb Three Sixty at Millennium Hilton, where we had a wonderful evening with cocktails during sunset. 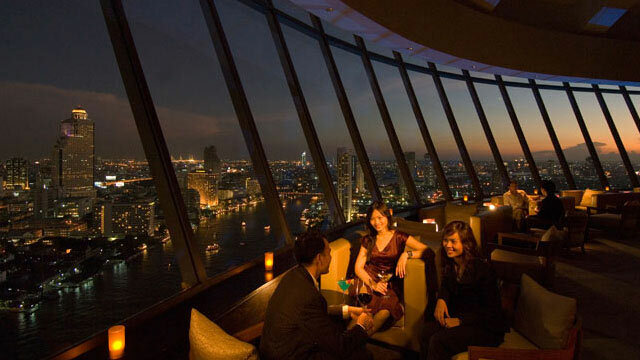 Discover the biggest collection of Bangkok activities, guided tours and skip-the-line tickets. Anything you want you'll find right here. 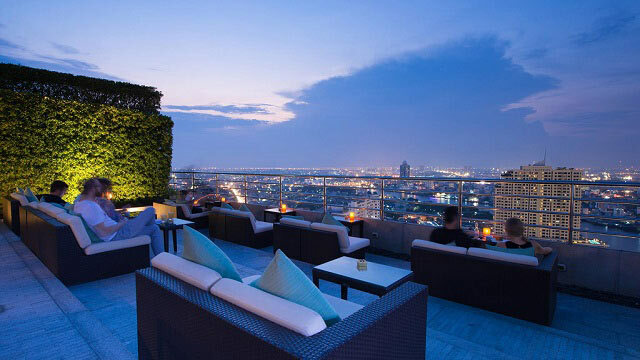 Neighbour with Lumpini Park, SO Sofitel Bangkok is a luxurious and modern design hotel offering everything one can wish for. 237 rooms with themes of water, earth, wood and metal, all with floor to ceiling windows, free WiFi and an Apple Mac mini. 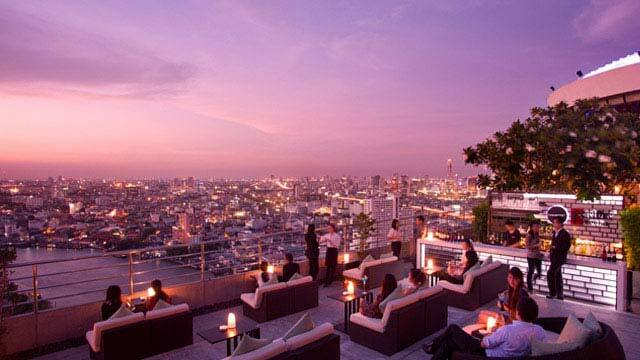 Several gourmet restaurants, both indoor and outdoor, along with both a rooftop restaurant and a rooftop bar. Other perks include 24/7 fitness center, Spa area, and most of all, a 10th floor infinity pool with grand views of the Lumpini Park.